The Karachaganak gas condensate field, situated in the north-west region of Kazakhstan, covers an area of more than 280km². The field’s reserves comprise over 1,200 million tons of oil and condensate, and more than 1.35 trillion cubic metres of gas. Karachaganak Petroleum Operating BV (KPO) was formed to facilitate the field’s development. The company is owned by five partners. Kazakhstan’s KazMunaiGas (KMG) acquired a 10% interest in the project in June 2012. BG Group and Eni each have 29.25% interest in KPO. Chevron has 18% and Lukoil holds the remaining 13.5%. The operations of KPO are regulated under a final production sharing agreement signed in 1997 by the Government of Kazakhstan and the partners in the company. The term of agreement is 40 years. 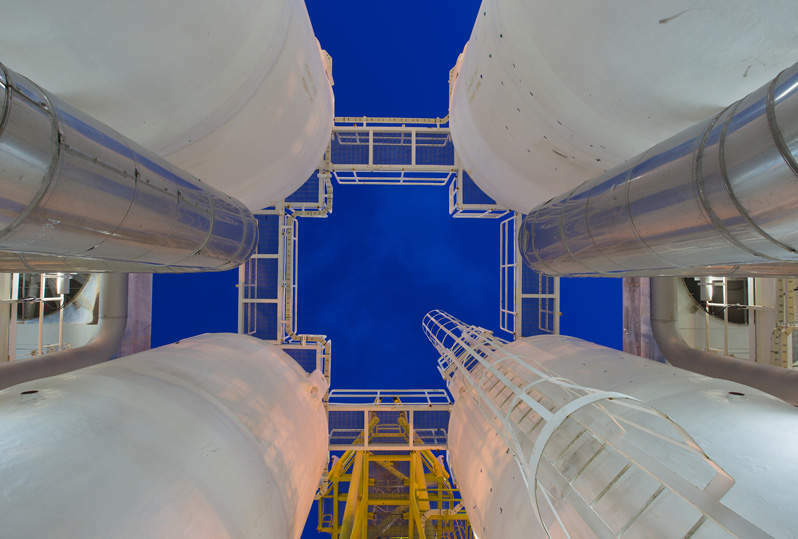 The field produces through three operational units, namely the Karachaganak processing complex (KPC), a gas and liquids separation and re-injection plant referred to as Unit-2, and a gas and liquid separation plant known as Unit-3. The partners are also developing a fourth treatment unit and a gas pipeline between Karachaganak and Uralsk. The Train 4 will increase the volume of export to international markets. The liquids produced from the field are re-injected into upper parts of associated gas. Around 67% of liquid produced is stabilised at KPC. It is then exported to western markets via a pipeline of the Caspian Pipeline Consortium (CPC) and also through the Atyrau-Samara pipeline. The non-stabilised liquids and gas not re-entered into deposits are sent to local Russian market via the Orenburg terminal. The field was discovered in 1979 and production started in 1984. It was developed into two phases. A gas sale purchase agreement was signed between KPO and KazRosGaz in 2007. "The field’s reserves comprise over 1,200 million tons of oil and condensate." According to the agreement, around 16 billion cubic metres of untreated natural gas will be supplied to KazRosGaz every year from 2013. The agreement led to development of phase III. The first phase started with three wells percolating the Permian formations of the reservoir. By 1990, over 200 verticals were drilled and the peak production at the field reached 155 billion cubic feet of gas per year and 100,000bbl/d of oil. Phase two started in 2000 and came on-stream in 2004. This phase involved the construction and improvement of existing facilities, the construction of new gas and liquid processing, and gas injection facilities, the construction of a 120MW power station and work on over 100 wells. A 650km pipeline was also laid to connect the field to the CPC pipeline at Atyrau. The field has around 350 wells of different categories. Out of the total 350 wells, 101 are producing wells and 15 are gas injectors. The rest of the wells are either abandoned for further exploration and production, or are monitoring and observation wells. The Phase III expansion project was approved by the government of Kazakhstan in 2012. The implementation of this phase will cost $14.5bn. Upon the implementation, the output will be 16bcm of oil per year. This phase is being developed in different stages and is expected to be operational by the end of 2013. The Orenburg facility expansion will be required upon the implementation of Phase III. The expansion is being carried out by the KazRosGaz joint venture. "The gas production from the field is equivalent to around 45% of Kazakhstan’s total gas production." The gas production from the field is equivalent to around 45% of Kazakhstan’s total gas production and represents approximately 16% of total liquid production in the country. The field produced around 139.4 barrels of oil equivalent in 2009. Around 6,589 million standard cubic metres of gas was extracted, treated and re-injected into the reservoir during the same year. The Karachaganak-Uralsk gas pipeline is 148km long and connects the field to the Kazakhstan gas pipeline network. The first leg of the pipeline was inaugurated in December 2009. The second leg was completed in June 2010. The third leg was completed in September 2011. The pipeline has cost approximately $300m. The contract for providing various process services was awarded to BJ Services Company in October 2009. The services provided will ensure the maintenance of safety and environmental standards over the process facilities and terminals of the KPC. The contract for main work in the development of the field was given to Saipem in association with Consolidated Contractors International Company in 2000. The contract for the data development of computerised maintenance management system for the field was awarded to the Baker Energy in 2002. The contract to build the Karachaganak-Uralsk pipeline was given to KazStroyService.